Founder Valetta Bradford has hosted an annual event every year on or near the anniversary of Xzavier’s injuries titled ‘Walk for Awarness’ held at the crosswalk where Xzavier was struck. Valetta started her advocacy from the hospital where Xzavier had seven surgeries to save his life. 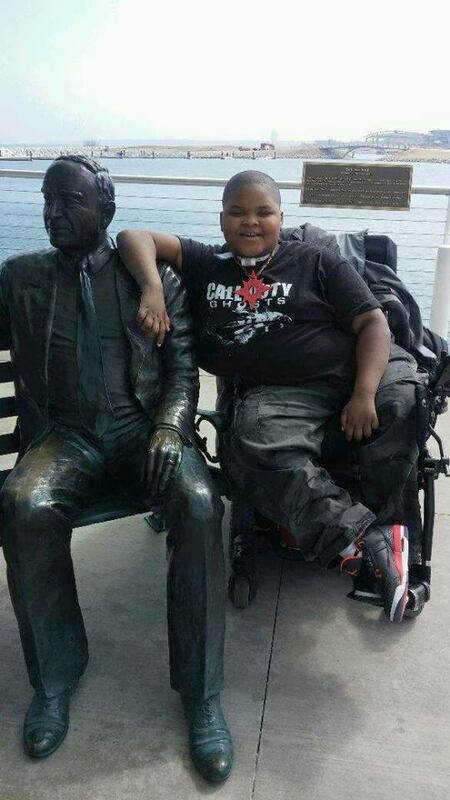 This family received the agonizing news of Xzavier’s paralysis and loss of his left lung and use of his right hand. Through the grieving this family pieced their lives back to what passes for normalcy now. Not many families are able to do this and many children are institutionalized when there is no one in the family to stand up and say they will become this family member’s primary caretaker. Valetta Bradford made that sacrifice for her son Xzavier. Their lives will never be the same. We invite all of you to join us in October when Valetta holds the event ‘Walk for Awareness’. Last year we changed the name to ‘Xzavier Day’ because Mayor Tom Barrett of Milwaukee issued a proclamation naming October 11, 2014 ‘Xzavier Day’. This year we are planning to tie in a few satellite groups by Skype and if you can’t make it to Milwaukee, we are hoping you will join us on our Youtube channel. Youtube channel coming soon, before October. Spokeswoman Valetta Bradford and son Xzavier Davis-Bilbo are available to appear at your event. Some consideration for time and travel will be necessary. Xzavier requires his nurse travel with him. Valetta and his nurse will take shifts monitoring Xzavier’s respirator during the trip. An extra family member may be required to travel for additional coverage for these shifts. Valetta and her family make dozens of appearances in Milwaukee at high schools, colleges, universities, driving schools, and other events every year. 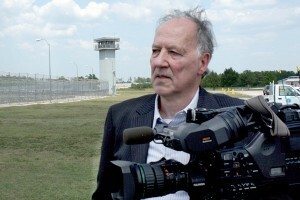 Pictured above, Legendary film director Werner Herzog. Xzavier and his family traveled to Hollywood for the premiere of ‘From One Second to the Next’ that Xzavier and his family were featured in. They were also able to travel to New York to be interviewed by Katie Couric. Click here to read about the trip to Hollywood!